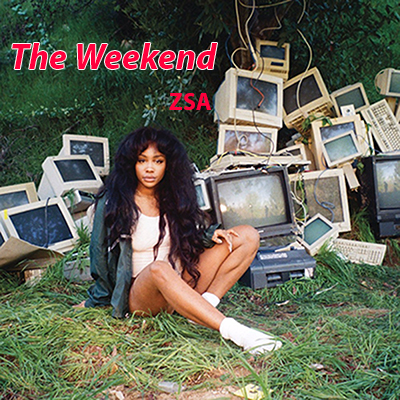 "The Weekend" is a song recorded by American singer-songwriter SZA for her debut studio album, Ctrl (2017). It was released to urban contemporary radio on September 26, 2017, as the album's third single. The song was written by SZA and Cody Fayne, produced by ThankGod4Cody. Lyrically, the song"The Weekend" is about sharing a lover with other women. The song also serves to empower women above the idea of a man as centre to all their actions. In positioning all the women in this one man’s life as being aware of what they want from him, it diffuses his lies to them and makes him look like the foolish one.